An eye catching contrast between white and black marbles creates a stylish modern finish and the straight edges creates an ideal focal point for any room. With a choice of colours available, you can create a fireplace suited to your room. 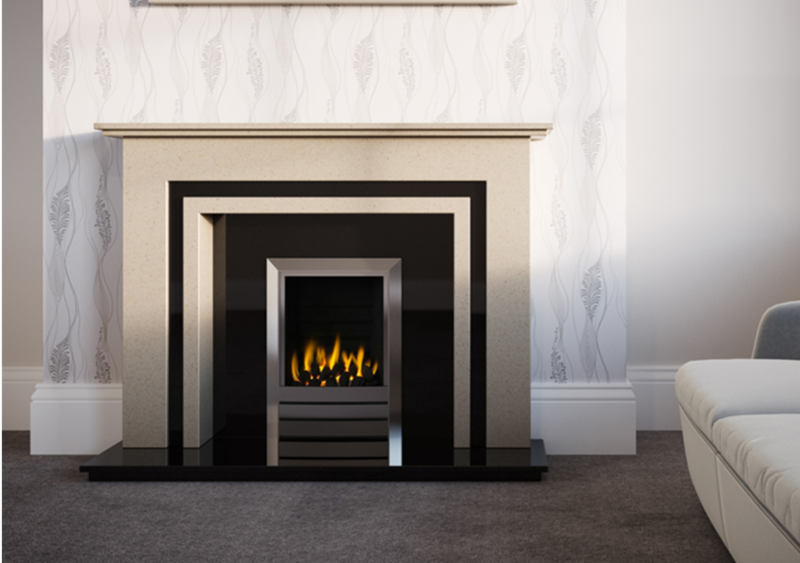 Combine with any our inset gas fires and inset electric fires to really compliment this fireplace.